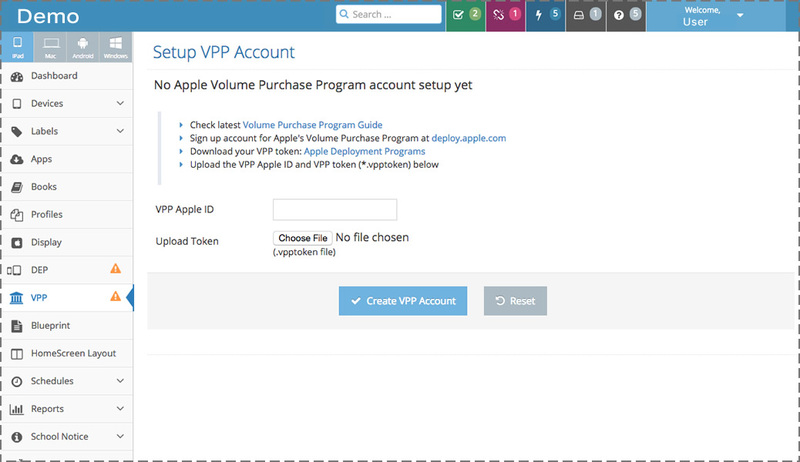 eSchoolPad solution is now compatible with Apple VPP for both iPad and Mac. 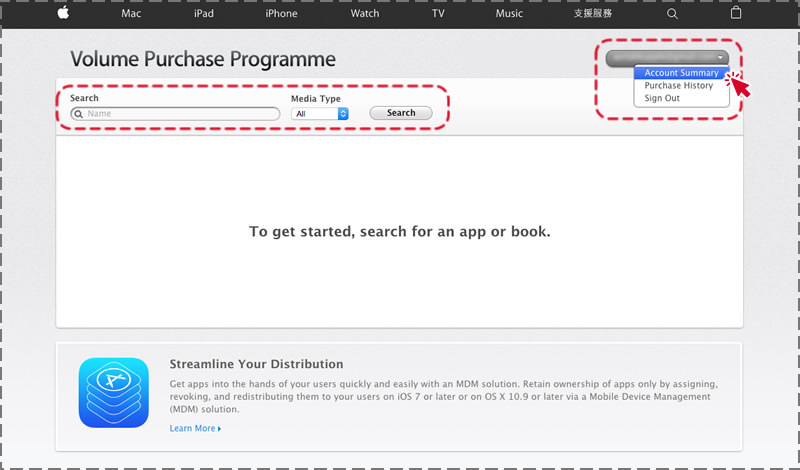 Please follow the steps below to complete the implementation. 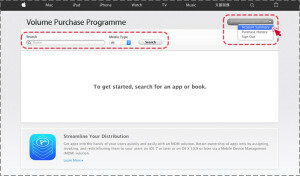 * DEP is suggested before the VPP implementation, for more information about DEP, please reference "Apple DEP Implementation Guide". 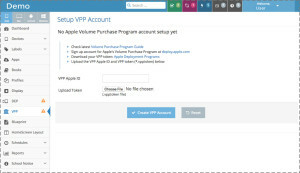 Provide the "VPP Apple ID"